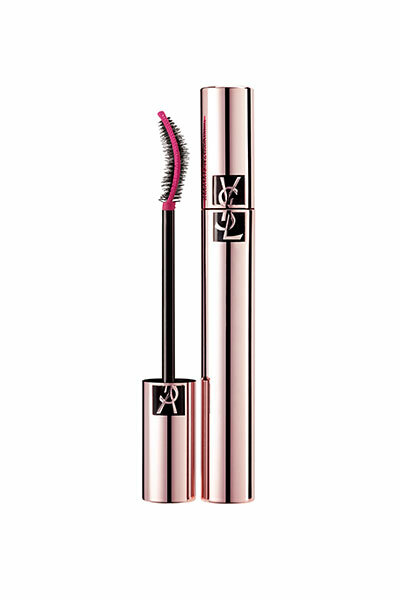 YSL is aiming to replicate the effects of an eyelash curler in a high-tech mascara named Mascara Volume Effet Faux Cils The Curler. It matches breakthrough brush technology with an exclusive curl-enhancing formulation. The brush boasts two distinct sides. 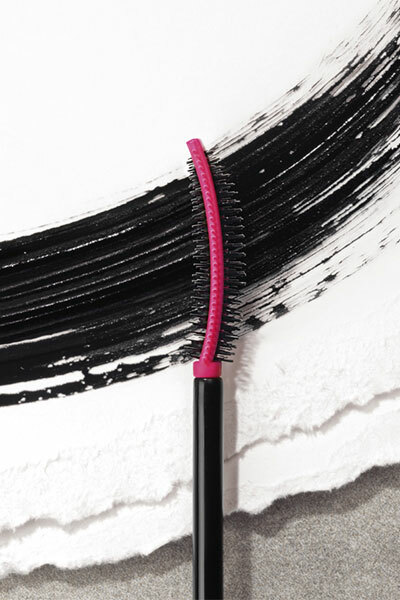 The black-bristled, rounded fibre side of the brush coats lashes with the formula to give impressive volume. The pink comb on the other side adds lift and a distinct curl. 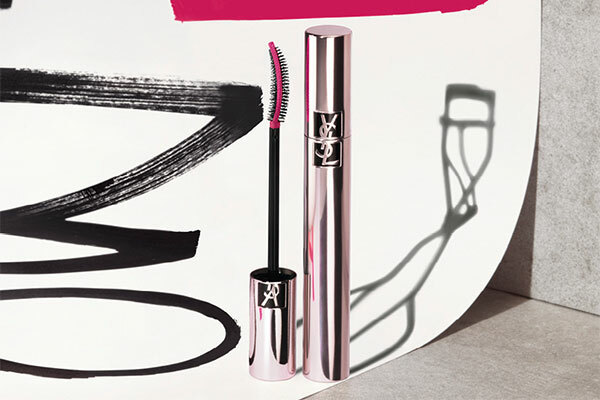 The mascara adds volume as it dries. Yet, coconut oil, walnut leaves and bamboo oil ensure that lashes soft and supple, holding the curl. It’s available in “Rebellious Black”, “Fearless Brown” and “Mischievous Violet”. 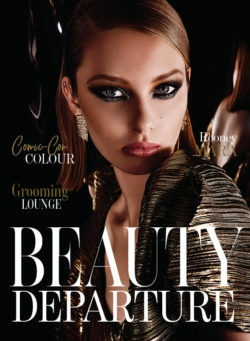 The ad campaign features model Edie Campbell who was shot by famed fashion photographer Craig McDean. The photo is kept black and white to emphasize the dramatic lashes. 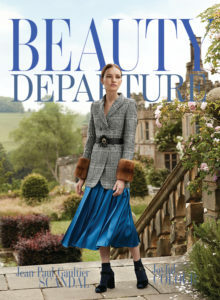 Model Edie Campbell stars in the ad campaign. Always like all information you are giving about fantastique products! I really appreciate all that you do for all of us Dave . 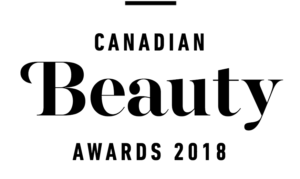 Thank you for sharing such great beauty tips and all the best beauty news. Wow, my eyelashes will finally be noticeable! this may just be the answer to my match-stick straight lashes!! Looks fab!! My lashes need all the help they can get! Oh my, this looks fabulous!! This looks like a winner to me!! This looks amazing…I would love to try this! Working on page 2 of my list of things to try! Here’s another I really like. Since my eyes are green, I would be interested in trying this in the Mischievous Violet. The packaging is absolutely lovely! This is a defenate try. Must try! I don’t use an eyelash curler, I’m a bit scared of them. I can’t wait to try this product. I have long lashes so the curling component sounds amazing. My eyes are green so I’d love to try the magenta colour ??? ?